The iconic, first Diezel amp. Still made the exact same way as in 1992, the VH4 revolutionized the industry with its 4-Channel and individual inserts design. Back in the 90s, i wanted to create an amp that covers a wide range of tone. It has a thick, articulate and ‘meaty” sound, that is why it’s loved by many heavy players. But because of it´s flexibility, it´s also used in many recording studios all over the world. The mighty VH4 head is the powerhouse that put Diezel on the map. Dissatisfied with the sounds from commonly available amps, rocker Peter Diezel created the VH4 tone monster in 1994 just to please himself – and got so many requests from tone-hungry fellow guitarists for their own Diezel amps that he had to put the VH4 into production. 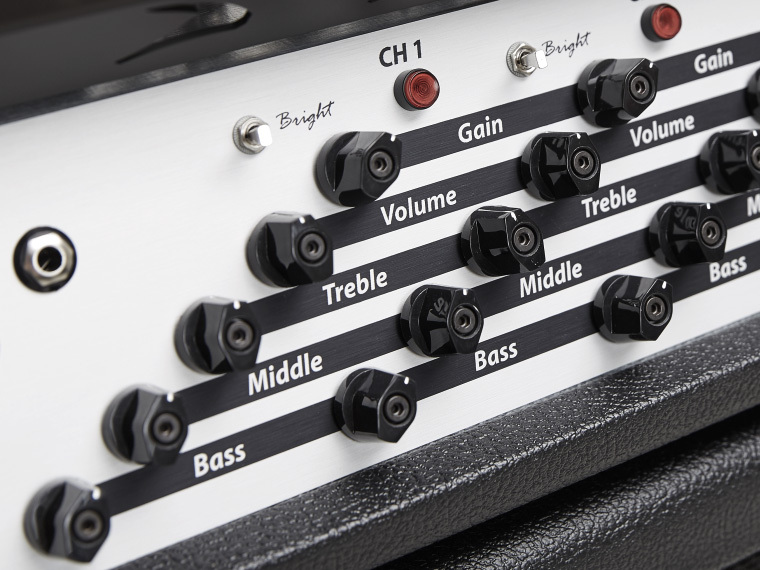 The VH4 head features a beefy 100 Watt output section with four distinctly-voiced preamp channels, each with separate gain, EQ and master controls. 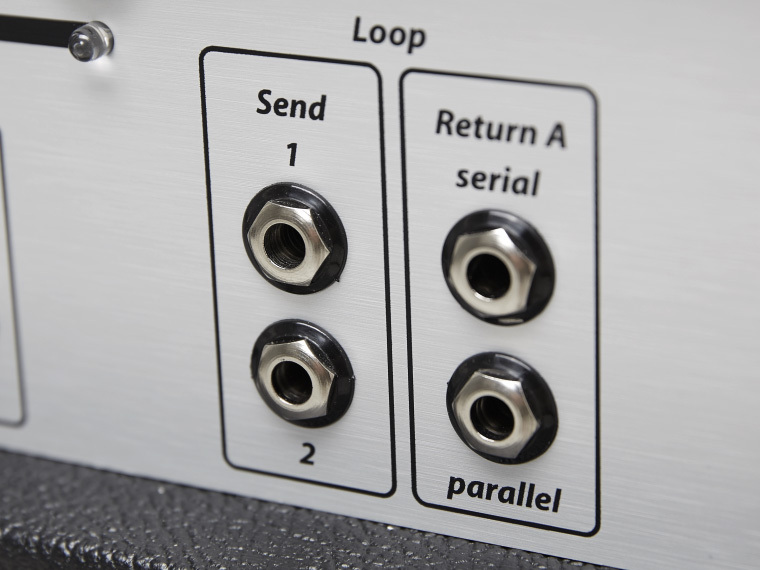 Other useful features include series and parallel loops, plus four channel inserts to add pedals or rack effects to any single channel. 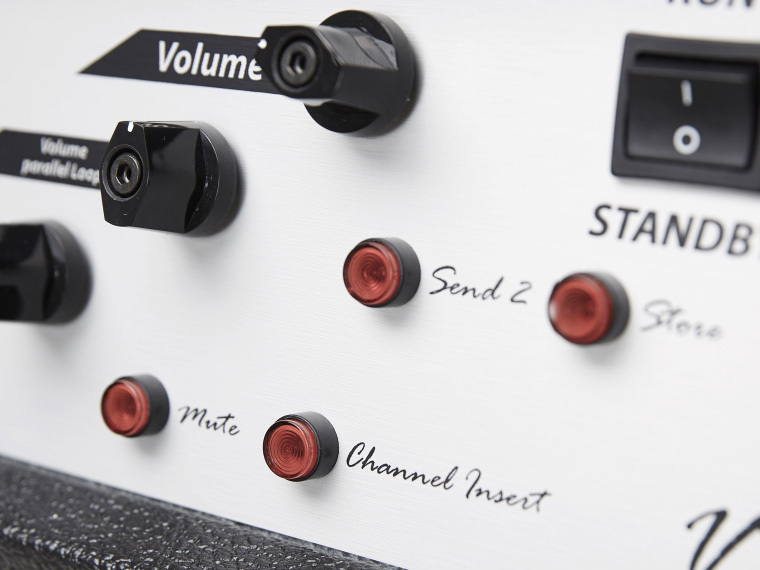 With a highly-versatile four-channel preamp section (Clean; Crunch; Mega and Lead), virtually any sound you can think of is on tap – and Midi switching allows the VH4 to easily adapt to any rig configuration. 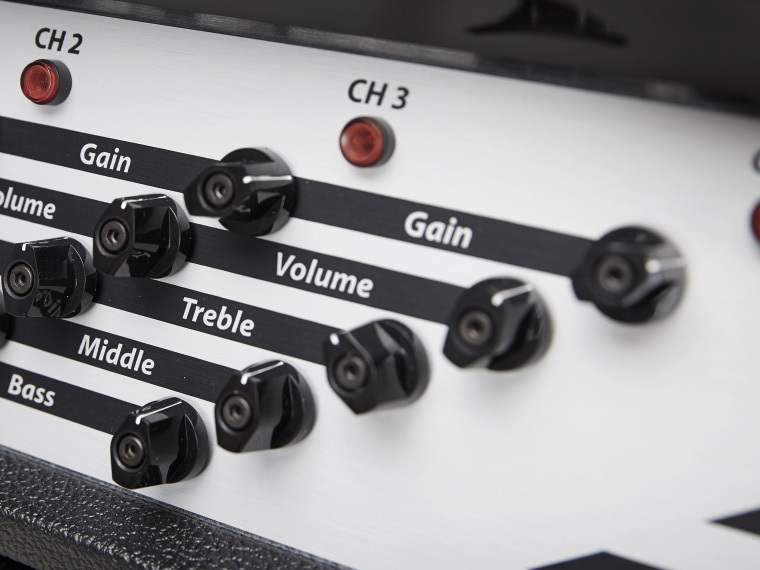 At lower gain settings, the Clean channel produces the now-classic Diezel sparkle & chime, but crank up the gain a bit and the Clean channel can get into that robust Townshend/Hiwatt zone. The Crunch channel begins where the Clean channel leaves off, delivering hearty vintage cleans to glorious AC/DC-style rhythm and lead sounds. The Mega channel delivers Diezel’s trademark – highly-defined heavy metal rhythm sounds to soaring solo sounds. The lead channel carries over from Mega, more gain, more compression, more bottom, more smooth top end –creamy, authoritative, loud. 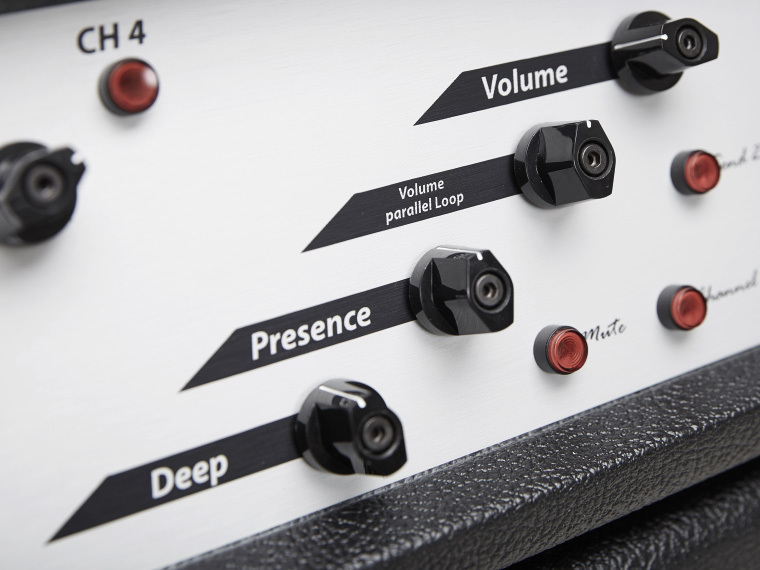 The power stage of the VH4 is rated at 100W, driven by four JJ KT77 output tubes. 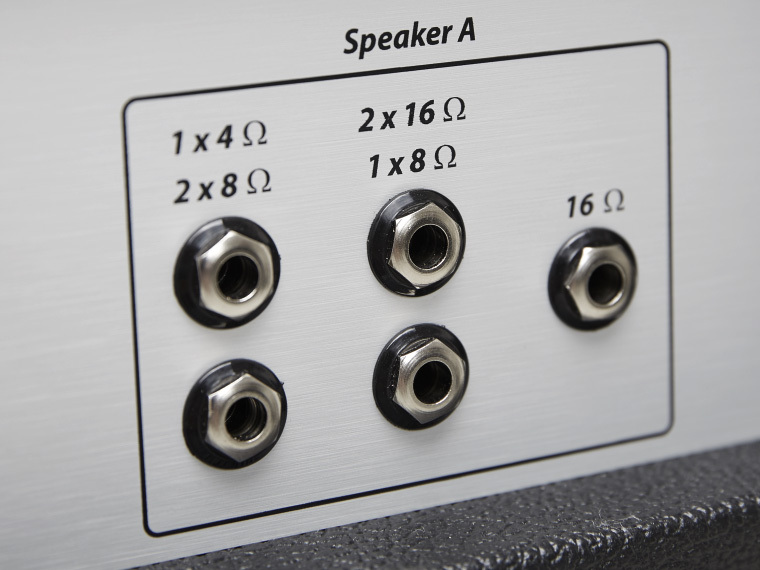 Power amp controls include a master volume (maximum clean volume at around 1’o’clock, beyond that adds power amp distortion), global presence (centered at around 4K) and a “Deep” knob, which is an active bass control that adds low end punch (centered at around 90 Hz). Each power tube has a tube fault indicator and a separate fuse. 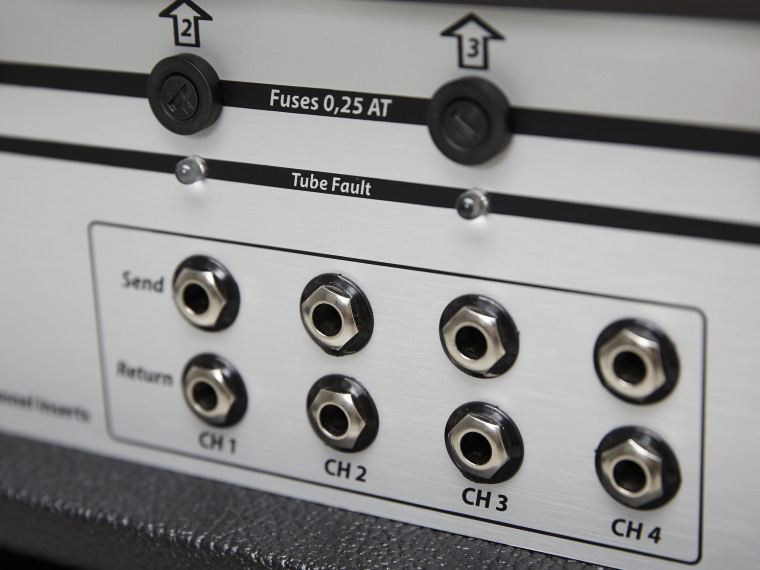 In case of tube failure, the fuse blows and takes the tube out of the circuit, allowing continued use of the amp until a repair can be made. 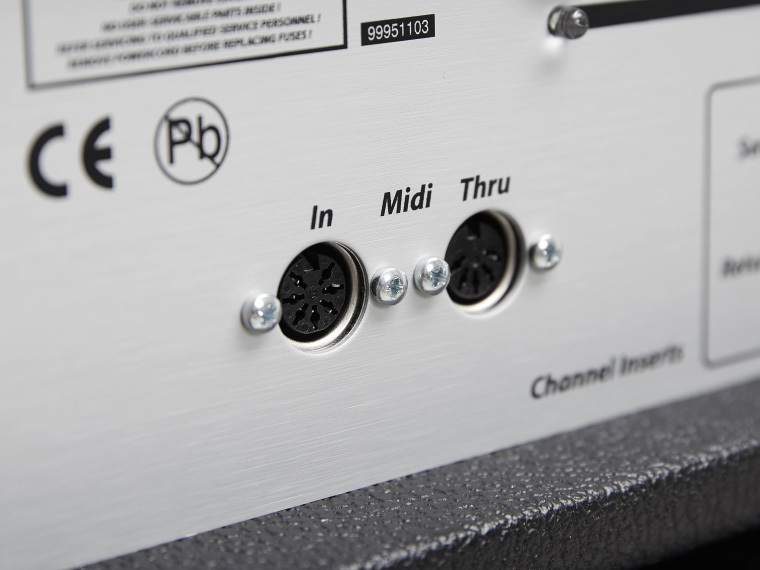 With extensive MIDI control built in, the VH4 does not come with a foot switch, as players have wide switching options. Optional: The Diezel Columbus Midi Switcher; search under ‘Accessories’.